Years ago I wanted to create additional memories and fun during the Valentine season, knowing how much my children enjoyed our annual 25 Days of Countdown to Christmas I re-invented the same idea into a 14 day countdown to Valentines day with various fun activities each day beginning February 1st and ending with our big heart basket treasure hunt on Valentines day. Over the years we have added new activity ideas, customized activities to our families schedule and enjoyed making Valentine memories. You can create the same fun in your home with our 27 ideas. Be sure to also check out our DIY Advent calendars to help you countdown with your fun daily activities Click here for simple DIY advent calenders you can create. 3. Movie night – watch a LOVE movie such as Lady and the Tramp or Cheaper by the dozen. 14. Red and Pink night….Serve food in these colors, decorate the table in these colors. 15. Make a paper chain garland countdown with red, whit and pink paper. 21. Make pink or red Jell-O. 23. Do a family puzzle. 24. Make chocolate dipped pretzels. 25. Go on a bike ride, play an outside game. 26. Read bible verses that have to do with LOVE. 27. Read Valentine theme books you can borrow from the library. 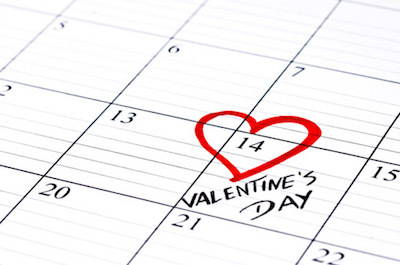 What fun ideas do you have to count down the days until Valentines day?